He is the unsung hero and secret pacemaker behind the successful Pikes Peak project: Dieter Depping. The man from Hannover, who celebrates his 52nd birthday today on 7 August, has been a motorsport test and development driver for Volkswagen for 16 years. Without him, the twelve titles in the World Rally Championship (WRC), a further two titles in the FIA World Rallycross Championship (WRX), the three Dakar victories with the Race Touareg, and the many class wins at the Nürburgring 24 Hours would have been inconceivable. Or, as Romain Dumas puts it: “Dieter was my second throttle foot. Without him, the record on Pikes Peak would not have been possible”. The fact that this quote from Dumas came just moments after the ground-breaking 7:57.148 minutes, in which he had made motorsport and electromobility history, speaks volumes of the key role that Dieter Depping has played in the Volkswagen Motorsport success story. “The outstanding work that Dieter Depping does for Volkswagen Motorsport is of vital importance,” says Volkswagen Motorsport Director Sven Smeets. “Every one of our successful motorsport projects has received a lot of valuable input from Dieter. The Volkswagen Polo R WRC, the current Polo R Supercar in the World Rallycross Championship, the Race Touareg, many successful touring cars for young drivers and the 24-hour race at the Nürburgring, and now: the I.D. R Pikes Peak. All have won many plaudits. And they all bear the seal “Tested by Dieter Depping”. But how is that possible, when there are such fundamentally different categories of motor racing? “You need a little bit of talent,” laughs Depping. The 500-kW (680-PS) I.D. R Pikes Peak, in particular, demanded great adaptability, as the Volkswagen Motorsport prototype is the brand’s first fully-electric race car. “All the electronics in the I.D. R are obviously rather special. This primarily affects the engineers, who entered uncharted territory,” says Depping. Only two drivers have ever completed the full Pikes Peak route with the I.D. R Pikes Peak – Romain Dumas on his record-breaking run, on which he completed the entire route with the prototype in one go for the first time. And: Dieter Depping. During the rare and brief tests on Pikes Peak, he completed one run over the full distance. “That first run was not about the time, but it still yielded a really good one,” says a grinning Depping. In the course of his development work for Volkswagen Motorsport, Dieter Depping has worked alongside many fantastic drivers: as with Romain Dumas he also cooperated with Carlos Sainz, Giniel de Villiers and Nasser Al-Attiyah, Petter Solberg and Johan Kristoffersson as well as with Sébastien Ogier, Andreas Mikkelsen and Jari-Matti Latvala. So how, as test and development driver, does he cope with these many different driving styles? “I sit down with the drivers and discuss intensely the direction in which we want to develop,” says Depping. “Together with the engineers, we then attempt to use a set-up to develop the handling in a direction that suits these styles. Up to now, we have always found a good basis which the drivers can use to do the fine-tuning.” And his own style? “Somewhere between the smooth style of Sébastien Ogier and the drifting of Petter Solberg,” says Depping, with a mischievous grin. In his role as test and development driver, Depping has been dedicated to the success of the team. Despite this, he can also look back on a successful career as a competitive driver. The three-time German rally champion (1992, 1993 and 1994) has also caught the eye in Volkswagen colours. First as a rapid assistant to the Race Truck registered in the Rally Dakar, at which he frequently appeared in the intermediate top ten of the overall standings. However, he also demonstrated his ability as a speedy chauffeur when charged with allowing such TV stars as RTL presenter Nazan Eckes to experience the fascination of motorsport. 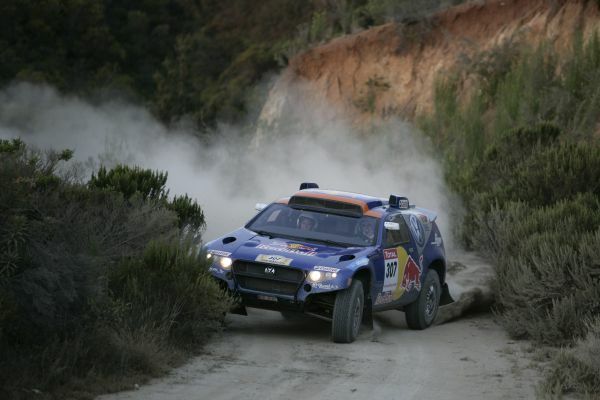 Or as a thoroughbred professional, as in his sixth-place finish with the Race Touareg at the 2009 Dakar Rally. In 2001 and 2002, he set several speed records with the Volkswagen W12 in Nardo. His name also stands behind Volkswagen’s class victory at the Nürburgring 24 Hours in 2007. And most recently, in 2017, he made his first appearance in the FIA World Rallycross Championship (WRX) at Volkswagen’s home race in Buxtehude. As you can see, Dieter Depping has driven, tested and achieved success with pretty much everything on four wheels. Just one thing is missing from his CV: “I would like to drive a Formula 1 car,” he says with a laugh. In reality, he knows that this will probably not be possible any more – partly because he is needed elsewhere. “I have a very good feeling about the Polo GTI R5. 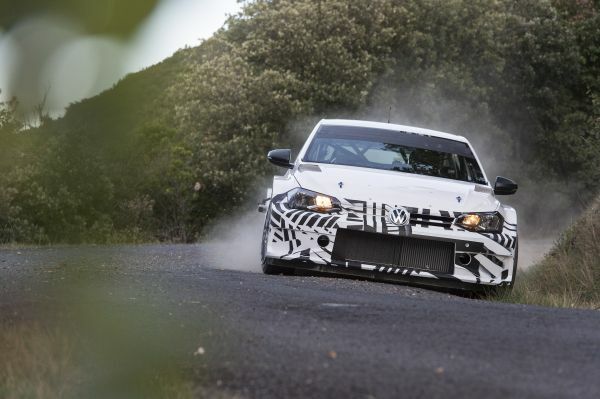 It is a real rally Polo – like its successful predecessor,” says Depping, looking ahead to the first competitive outing of the customer racing rally car, which will make its debut in the WRC2 category at the Rally Spain at the end of October. At Volkswagen Motorsport, Dieter Depping is the man who looks to the future with his hands and his throttle foot.